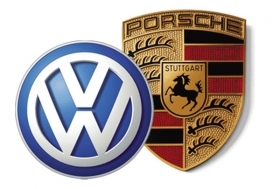 BERLIN -- Porsche SE said it will appeal a Feb. 29 court ruling that said Ferdinand Piech violated his duties as a member of the carmaker's supervisory board during its failed takeover bid for Volkswagen in 2009. In a statement on Sunday, that cited Piech directly, the supervisory board member said the Stuttgart Higher Regional Court's ruling did not accurately assess the context in which he made statements to reporters at an event in 2009. Porsche said it will appeal to the German Federal Supreme Court. The court in Stuttgart decided Piech, also chairman of VW, was wrong to tell reporters at an event in Sardinia that he was unaware of the extent of the option risks that the carmaker had built up in bidding for control over VW and that he was wrong not to seek clarity about it. The court's decision was part of a ruling voiding votes by Porsche shareholders that discharged Piech and the rest of the supervisory board from responsibility for the financial year ending in 2009, the court said in a statement. "I can't -- even after examining the OLG Court in Stuttgart's ruling -- see how I violated my duties," Piech said in the statement Sunday. The ruling "in my opinion doesn't assess the situation accurately," he said. The court ruled Piech's words could also have been understood as a critical comment, as part of the controversy within the company at the time, arguing that the risk from the options was incalculable. Such a statement is also improper because it would endanger Porsche's creditworthiness, the court said. Piech said in the statement that his "core position" at the time of the comments to reporters was that the takeover "concept followed by the then-executive board was no longer the right one for the future." For that reason, "the options -- and the risks that go with them in the nature of things -- shouldn't have been maintained any longer," he said.